Hide your credit card before reading. Fall is the season of romance. Velvet. Scotch. Unadulterated foliage. There is no better time to indulge, and we feel doubly so when it comes to our fall beauty products. 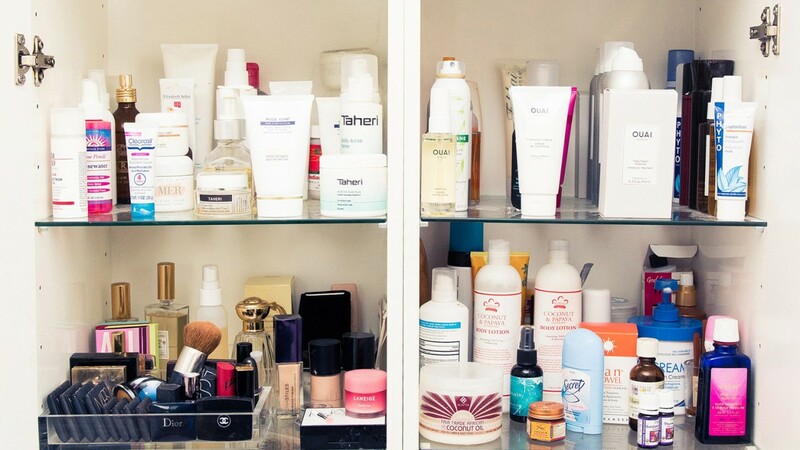 Below, our editors confess to the paycheck-destroying beauty products on their shopping lists. Apparently, this season we’re going to be spending a LOT on our skincare (a $2,900 face mask, anyone?) and demanding high-performance hair care. Decide now whether you want your credit card next to you or in safe keeping with a trusted friend—you’re going to want everything. 1. ZIIP Nano Current Device: Since I hate wearing foundation, or any full-coverage makeup, my energy and budget is spent on preventative measures—anti-acne, anti-aging, anti-dehydration, etc. With my skin on the cusp of a major freakout now that the seasons are changing, I think it’s time to bust out the big guns, so to speak, and invest in not only creams and oils, but GEAR. Specifically, the ZIIP Nano Device, which delivers a nano-current facial in the convenience of my own windowless bathroom. It increases circulation, kills bacteria, and helps promote collagen and elastin for glowy, I-woke-up-like-this skin. 2. 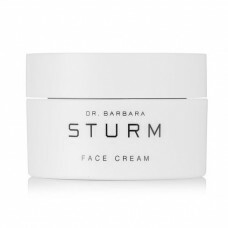 Dr. Barbara Sturm Face Cream: I’ve been on a months-long hunt for the perfect moisturizer, and with winter looming, I think it’s time to check out Dr. Barbara Sturm’s lauded face cream (not to be confused with her infamous blood cream). I’m also super sensitive to fragrance, which rules out a lot of the heavy-hitter brands, but this is luckily both fragrance- and paraben-free, and promises cell renewal and deep hydration. Add to cart, please. 3. SK-II Facial Treatment Mask: If you’ve seen my Sunday spa routine, then you know that I use multiple masks each week without fail. Sheet masks in particular are my favorite, and there’s no denying the hype around SK-II’s set. I mean, if it can make me look even the slightest bit like Cate Blanchett, then I will happily fork over a chunk of my paycheck each month. Plus, if you’ve never turned around to surprise your partner in one of these, you’re in for a treat! 1. 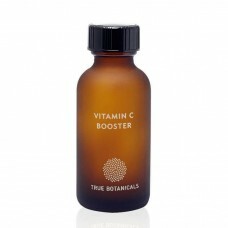 True Botanicals Vitamin C Powder: I really didn’t know what vitamin C would do for my skin, I just knew I should be using it when I first tested out this product. I used it sporadically for a while, but really only made it a must-use a few weeks ago. I put three shakes in my La Prairie Essence-In-Lotion (my one non-green skin product, more on that later) every morning, and my skin looks remarkably better and brighter. It makes a HUGE difference and is worth every cent. 2. 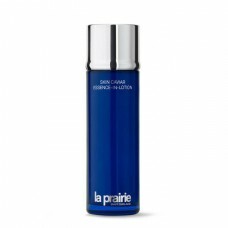 La Prairie Essence-In-Lotion: This is a pre-serum thingie, and is kind of gel-y, kind of liquidy, and a few drops makes my skin look a million times better. My skin routine is 99% green, but this is one of the few products I make an exception for. 3. 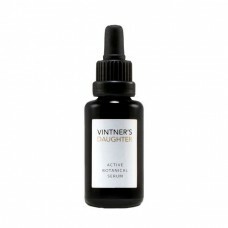 Vintner’s Daughter Serum: I’m probably not the only editor with this on her list, and that’s because it’s a total miracle worker. I use a few drops after the LaPrairie Essence, and before a Tata Harper moisturizer, and I wake up with glowy, bouncy, flawless-looking skin. 1. Deesse Professional LED Face Mask: This light-up mask is the definition of cult obsession. The LED lights—which come in red and blue—help calm acne and boost collagen production. When you have it turned on, it’s also a golden selfie opp and guaranteed to make your significant other question their choices. However, this thing works. I’m super prone to adult acne, and if I use this for 20 minutes every morning, it cuts my breakouts in half—easy. Now I want the new 2.0 version! I just need, you know, three grand. 2. 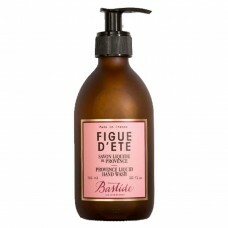 Bastide Figue D’ete Artisanal Hand Wash: This isn’t very chic of me (considering I’m pondering a four-figure face mask), but I think anything over $15 is a lot for hand wash. Right? No, just me? Anyhow, I love anything that smells of fig, especially this pretty hand wash that looks *just right* on my sink. My current bottle is almost empty, so it’s time. Bonus: Frederic Fekkai owns this brand. The golden touch. 3. Sisley Paris Sisleÿa L’Integral Anti-Age Eye and Lip Contour Cream: While Sisley Paris makes beautifully formulated high-end skincare, there’s another reason I really want this product: Its accompanying little rolly massage device is genius. It feels like teeny little angel hands pushing the puffiness out of your eyes. The cool metal is soothing and glides along the under-eyes to increase circulation and move fluid. Sure, I’ll use the caffeine-spiked eye cream (maybe even all of it at once), but I’m treasuring the massage tool til the end of time. See? It’s an investment! It’ll pay off in the end. 1. 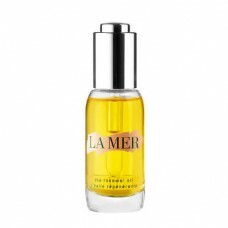 La Mer Renewal Oil: I’ve *heard* great things about this oil, but couldn’t justify spending the money unless I tried it first. Well, guess who just had Patrick Ta mix some into her foundation, therefore changing her life and routine forever (story coming soon)? Apologies in advance to my bank account. 2. GLO Brilliant Teeth Whitening Device: While whitening strips have worked well for me in the past, I often forget to use them—something that inspired me to do some research a few months ago, where I discovered this device. The reviews are great, and—bonus!—it doesn’t take many sessions to see results. I’m sold. 3. 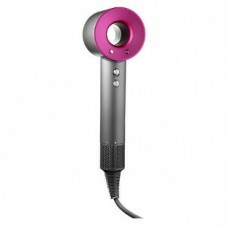 Dyson Supersonic Hair Dryer: I’ve let the summer spoil me: I haven’t blown out my hair in a whiiiile. But cold, freezing temps are likely in our near future, which means I’ll need something to turn sopping, fresh-out-of-the-shower hair into a cute dry ‘do on the days I’m running late (read: every day of my life). 1. 37 Actives High Performance Anti-Aging Treatment Foundation: While my teen years were spent acne-free, karma has come in real hot and I am dealing with a SERIOUS cystic acne situation. While I know keeping my pores clean and clear are key, that’s not always possible during the day and at dinner, events, etc. I recently started using 37 Actives, the skincare line from dermatologist extraordinaire Dr. Macrene. It covers acne flawlessly and has been keeping breakouts at bay better than anything else I’ve used. 2. 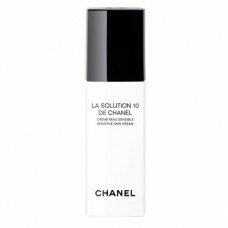 Chanel La Solution 10 de Chanel: While I love me anything with a “Double C” on it, I fell head over heels in love with Chanel’s Solution 10 moisturizer. Dr. Amy Wechsler (who I personally go to and LOVE) worked with Chanel to create this super luxurious moisturizer made only with 10 of the best ingredients. It settles perfectly and leaves me the exact right amount of hydration. 3. La Mer The Cleansing Micellar Water: And last but not least, I am completely hooked on La Mer’s new cleansing Micellar water. I am convinced that just washing with regular face wash alone will not take the day off effectively, and my racoon eyes every morning seem to substantiate that. This cleansing water takes off the dirt and debris that an NYC day will put on your face and give it some extra TLC. A must-have for me. 1. 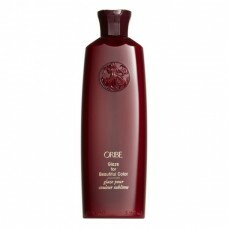 Oribe Glaze for Beautiful Color: I'll never stop singing this product’s praises. It has the most amazing velvety texture and really softens and detangles my coarse natural hair, which is no easy feat. I especially love it for fall when my color starts to get dull—it makes my highlights pop like no other product can. 2. 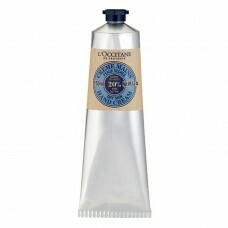 L’Occitane Shea Butter Hand Cream: I’m obsessive about moisturizing and not one to be caught with dry hands—ever. Just a touch of this banishes dry skin for an entire day, making it well worth the splurge. 3. 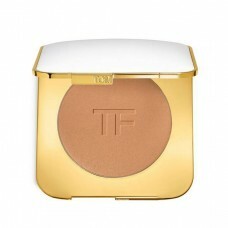 Tom Ford Bronzing Powder: A drugstore highlighter was my summer go-to, but as I transition into a more muted makeup look for fall, I have this bronzer on my wish list. It’s lightweight, easy to build when you want a defined look, and has the perfect touch of shimmer. 1. 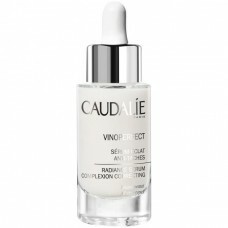 Caudalie Vinoperfect Radiance Serum: This may sound dramatic, but this serum literally changed my life. I’ve tried countless serums but was never impressed until this bottle of heaven landed on my desk. Think dewy, glowing, always-bouncy skin. 2. Omorovicza Thermal Cleansing Balm: The best facial I ever received in my life involved this product. Which then resulted in me immediately adding it to my bathroom cabinet. I never thought I would be one to opt for a balm as a cleanser, but boy, was I wrong. I’m stocking up on this baby for the rest of my life. 3. Drunk Elephant T.L.C. Sukari Babyfacial: The name of this product says it all: Your face will be left feeling as soft as a baby’s bottom. Not to mention, it will make you glow like you’ve never glowed before. My advice? Go buy this immediately.